Summer swelter cramping your style? Don’t sweat it. Design duo 01Mathery has devised a do-it-yourself solution that even the most craft-challenged of folks will be able to partake. Simply dip a necklace chain, bracelet, or even piece of string into an ice-cube tray, cover with water, and freeze. Popped out of their molds, the ice-cube gems look almost like the real deal, except that they also function as portable cooling implements. With the number of novelty ice-cube trays on the market, the possibilities are manifold. Tip: Pop something shiny in the tray before freezing for extra pizzazz—tongue fully in cheek, of course. Summer swelter cramping your style? Don't sweat it. Design duo 01Mathery has devised a do-it-yourself solution that even the most craft-challenged of folks will be able to partake. 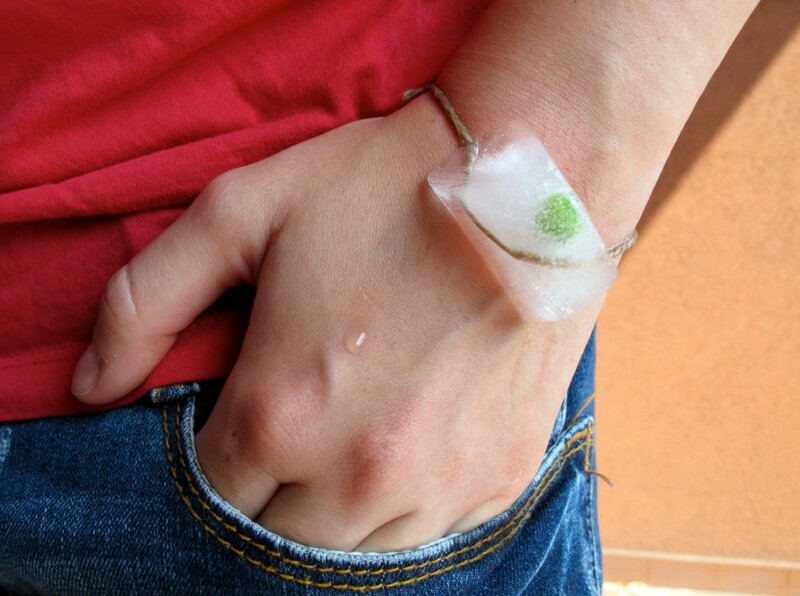 Simply dip a necklace chain, bracelet, or even piece of string into an ice-cube tray, cover with water, and freeze. Popped out of their molds, the ice-cube gems look almost like the real deal, except that they also function as portable cooling implements. With the number of novelty ice-cube trays on the market, the possibilities are manifold. Tip: Pop something shiny in the tray before freezing for extra pizzazz�tongue fully in cheek, of course.